The PCF8574 component allows you to use PCF8574 or PCF8575 I/O expanders (datasheet, Sparkfun) in ESPHome. It uses I²C Bus for communication. Once configured, you can use any of the 8 pins (PCF8574) or 16 pins (PCF8575) as pins for your projects. 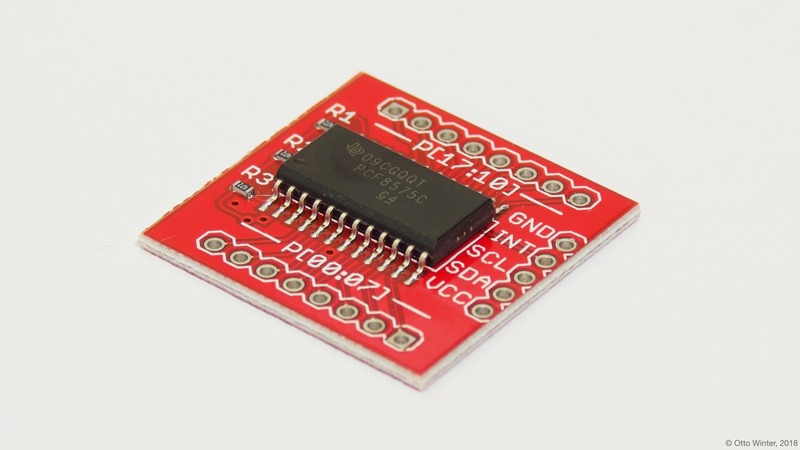 Within ESPHome they emulate a real internal GPIO pin and can therefore be used with many of ESPHome’s components such as the GPIO binary sensor or GPIO switch. Any option accepting a Pin Schema can theoretically be used, but some more complicated components that do communication through this I/O expander will not work. id (Required, ID): The id to use for this PCF8574 component. pcf8575 (Optional, boolean): Whether this is a 16-pin PCF8575. Defaults to False.